This level has hard difficulty as you need to focus lot on breaking chocolates, and on taking down ingredients with balancing the Odus owl and that need good strategy. 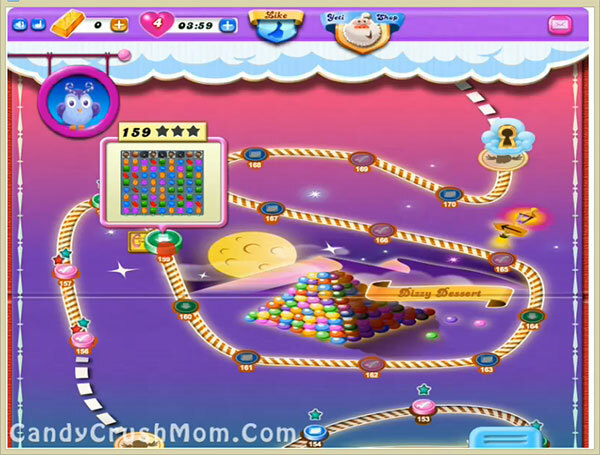 First you should play on top and break chocolates and as ingredient got appear you should use special candy or play near them to take it down. Moon stuck might help to take down some ingredients and will give some chance to make colorbomb. We completed this level with 109940 score using same strategy that written above and got few special candies that help us to reach requirement with two star score.